A delicious project! 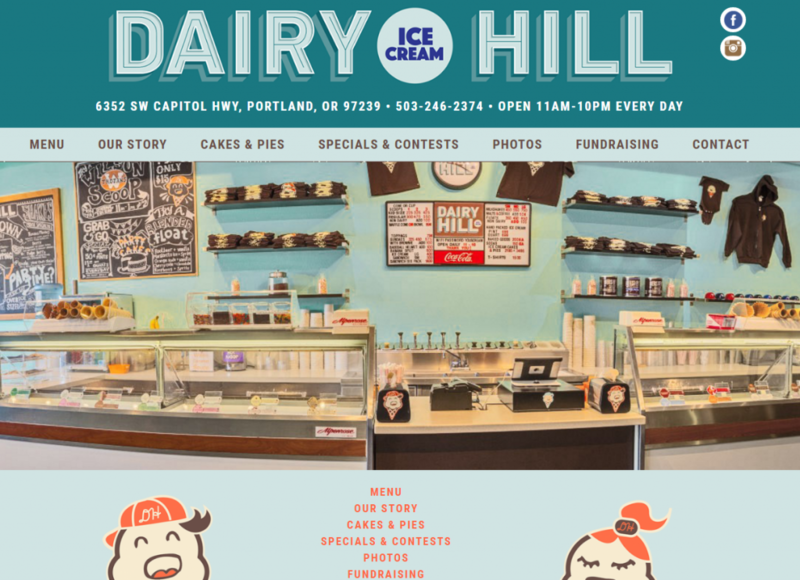 A brand-new business with no pre-existing website, Dairy Hill had secured some really charming branding and design assets so we used those to build the site. 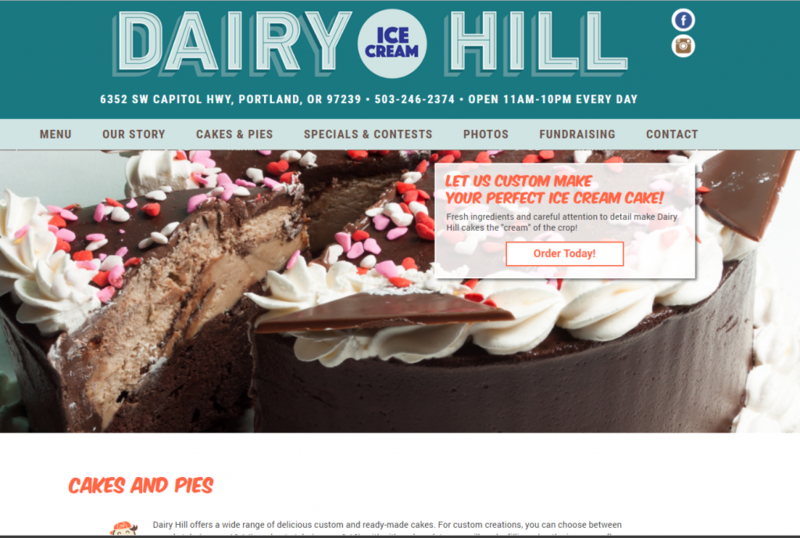 Since visuals involving ice cream, cake, and other related sweets are integral to the site, each page features an optional hero image with optional overlay box containing a space for a heading, some text, and a call to action button. The overlay box can be positioned right or left.